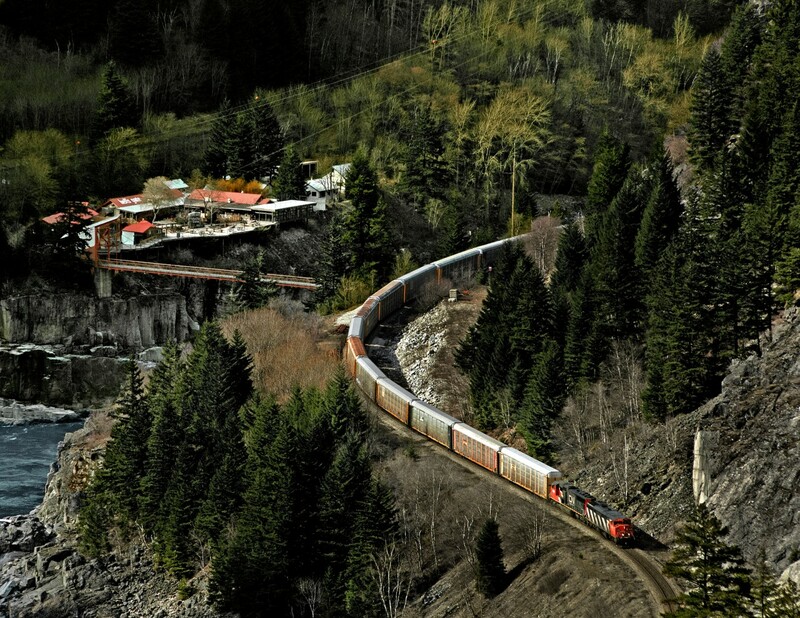 Railpictures.ca - Bill Hooper Photo: CN mixed freight 301 just out of Boston Bar passes Hell’s Gate in the Fraser Canyon.The resort is accessible only by gondola | Railpictures.ca – Canadian Railway Photography – photographie ferroviaire Canadienne. Awesome Shot Bill!! Love it! !